Modeled on a pueblo village, the 218-room resort huddles near the cottonwoods and creek at the entrance to a narrow canyon layered with vivid red rock and pearly limestone. This richly sculpted corridor, its slopes tufted with pinon pine and juniper, extends for more than two miles into the Colorado Plateau before ending in the west in a jumble of low peaks that mark the boundary of the Red Rock Secret Mountain Wilderness. Indian cliff dwellings huddle beneath overhangs high on the walls. It seems to exist far beyond the fringes of civilization. The resort provides that. At its core rises a three-story clubhouse containing an indoor-outdoor restaurant and a lounge. Wraparound terraces take in that canyon spectacle, and so does a swimming pool and a rooftop star-gazing deck. Staying there means bedding down in a spacious room or suite, some with kiva-style fireplaces, and awaking to watch the sun rise across high desert landscaped with stone temples. Hiking trails lead to the back of the canyon or up to one of the stone monoliths that the New Age settlers and spiritual seekers—locally dismissed as "Sedonuts"—believe marks the site of a powerful vortex. The resort supplements those trails with a six tennis courts, croquet courts, a pitch-and-putt golf course (and privileges at several local courses), and a destination spa, Mii amo, the last of which combines pampering treatments with exercise and fitness classes and healthy meals. Jeep tours leave from the resort to tour ancient Native American ruins, and it's an easy drive into Sedona to wander through the art galleries and shops. Superb dining is as close as the Che-Ah-Chi Restaurant, and even locals make the trip out for the sumptuous Sunday morning jazz brunches. There are few more distracting places to play tennis than this red-rock canyon, and yet tennis activity waned until one of the owners encouraged the staff to revitalize it. 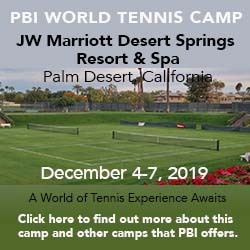 A team of pros consisting of are Claudette Laliberte, Brian Young, and John Meyers, all USPTA-certified, now shares responsibility for a weekly calendar of drill sessions, match play workouts (the pros play in), round robins, and a variety of clinics—among them a "Stay Healthy Clinic," that incorporates tennis-specific stretching before and after drills. Those are supplemented by special events like mixers, tournaments, and demo days, often on weekends once or twice a month from February to November. And rather than rely solely on guests, the resort now invites the public to participate, which bring in players from Sedona and other nearby communities and adds to the excitement. Golf Courses. Enchantment has a 9-hole pitch and putt course. Spa & Fitness Center. Within the Enchantment grounds, but secluded from the other guest areas, is Mii amo, a destination spa with its own specially designed casita lodging. Walking paths and a land bridge connect it to the rest of the property. The spa itself has 24 treatment rooms, several bodies of water, an aerobics studio, library, herb garden, and exhibition-style kitchen with a communal table reserved for spa guests. Like the resort as a whole, it draws heavily on Native American and Southwestern influences. It offers a wide array of treatments (see Mii amo for details). And ... Hiking trails leave from the edge of the resort property and either plunge deep into the canyon or lead up to overlooks from the rim. Lodging ranges from a casita guest room to a two-bedroom suites in adobe casitas. Studios and 1- and 2-bedroom suites have full kitchens, and some 1- and 2-bedroom suites have private swimming pools. Rates vary seasonally: lower in summer and early winter, higher the rest of the year. Contact the resort for details about the specific dates that interest you. Seasons. Although the resort is open through the winter, it can in fact snow here, which makes the canyon more beautiful than ever but severely cramps any tennis plans you may have. July and August are another low season, though because the resort is at 4,600 feet it is not the act of madness to think about playing here at midsummer that it is 100 miles to the south in Phoenix. Travel Instructions. The nearest airport is Phoenix Sky Harbor International Airport (PHX), 124 miles to the south. General Tourist Information. For information about the Sedona area, visit the Sedona Chamber of Commerce website or contact them at 320 N. Hwy 89A Sinagua Plaza Suites 3 & 4, Sedona, AZ; phone 928-282-7722 or toll-free at 800-288-7336.